Limited Edition Body Kit. Each one is hand painted and will be unique. There will only ever be a few of these. This is an amazing looking body kit suitable for use with Gorilla or Monkey bikes. 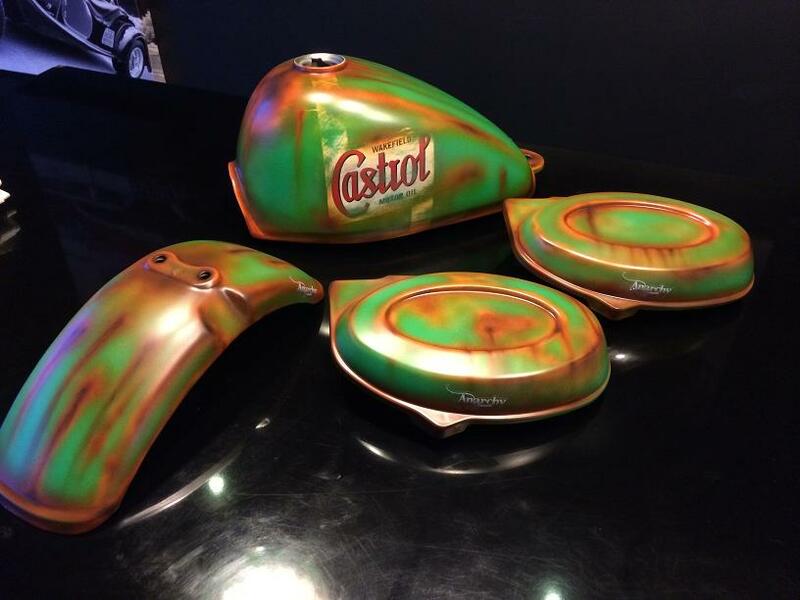 Retro Rust look Air brushed. 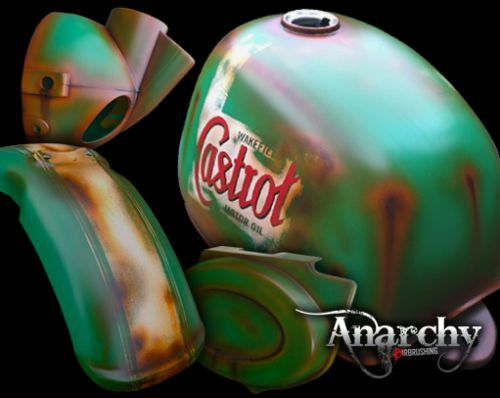 Work by "Anarchy Air Brushing"
All pieces are colour matched with rust effect and aged look. Ideal for the basis of a Steam punk or similar themed look finished in satin. Both Monkey and Gorilla style kits as the same with the exception of the shape of the tank. ALL TANKS MUST BE RUBBER MOUNTED, NO MATTER OF BRAND, OR YOU WILL GET A SEAM FAILURE. WE SUPPLY RUBBER MOUNTING KITS FOR FRONT AND REAR, FOR THIS REASON. IF THE TANK IS IN DIRECT CONTACT WITH THE FRAME THIS WILL CAUSE A FAILURE THROUGH VIBRATION DAMAGE.